Do you want or need to sell your home in the Kansas City area? 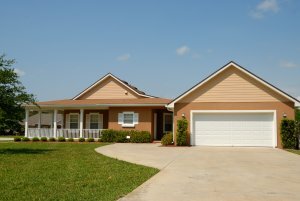 If so, we want to present you with some alternatives to listing your home in the Kansas City area. Most people are not aware of all of the options that they have during this very important time. Check out the article below to find out how you could save time and money. Selling your house can be very challenging and time consuming. The process is rarely as easy as it seams. Think about the repairs prior to listing, cleaning, open houses, showings, negotiations, inspections, more repairs and finally moving….. my personal least favorite part. In some situations, alternatives to a listing that can work much more efficiently and will save a lot of time. Consider these alternatives to listing when you are ready to sell your Kansas City area house! Have you ever thought about being a landlord? Most likely you know a couple people that are. Being a landlord works for some people and doesn’t for others. This is where you need to be honest with yourself and figure out if you have the time an energy to deal with being a landlord. If it seems like too much, think about using a property manager. Using a property manager will still require some work on your end but it make being a landlord much easier. Once your have determined that you are ok with being a landlord then you need to determine if renting makes sense financially. There are certain markets that owning a rental house doesn’t make sense financially. Fortunately, Kansas City and most of the surrounding areas are great rental property markets. The reason for this is the ratio between home values and rental rates. This allows homeowners and investors to buy a house and cover the loan payments, taxes, insurance, property management and leave a little extra cash for profit all within the monthly rent amounts. You need to run this calculation yourself and see if it makes sense. Check out how much your house would rent for by using a tool like Zillow. Setting up your house in a rent to own structure is a great for making your home available to a lot of buyers that you would not reach by traditional listings. It is also a great way to insure that you will get the full value of your home. There are MANY buyers out there that are unable to secure conventional financing due to a blemish on their credit or lack of established W-2 income or maybe they already have another mortgage and cannot qualify for another mortgage. These are great people, who have either made a mistake or just don’t fit the conventional financing model. This doesn’t mean that they are unable to pay for the house or cant afford to buy the house. The typical Rent To Own structure includes a large up front down payment followed by higher than average rental rates. The higher rental amount covers the interest for you holding the financing and pays down the principal that the buyer owes you. At the end of the rental period (somewhere between 1 and 5 years), the buyer must purchase the home outright. There are a lot of ways to set this up, so chose the terms that work the best for you. Make sure you consult with an attorney to make sure your contracts and agreements cover all the bases and are proper legal documents. When you choose to sell your home directly, you should be able to cut out a lot of the selling costs you encounter when listing. You won’t need to pay a listing agent, make repairs, clean up or go thru multiple inspections. When selling to a Professional Home Buyer or Investor the process usually runs much faster. These buyers are typically paying cash so you will not have to wait on a bank to prepare financing. These buyers usually have strong relationships with title companies and will get discounted closing costs as well. When you sell your house directly, make sure you do your homework and are working with a buyer that has a solid reputation and history of closing deals. Many people are turning to auction services to sell their Kansas City area homes. Choose a company that has a lot of buzz and a history of recent auctions. Compare what their houses have sold for compared to what it should have sold for on the market. Auctions are great for people that need to sell their house by a certain date and are flexible on the price. Factor in your holding costs (mortgage payment, homeowners insurance, property taxes and repairs) when you are running numbers and comparing options.